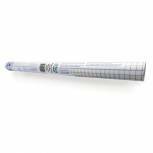 Self-Adhesive Book Covering Film 500mm x 10m TZ72034 Pack of 1 Self adhesive clear film, easy to use for protection of maps, books, documents etc. against dirt and damage. Single pack 50cmx10m. 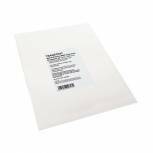 Self-Adhesive Book Covering Film 1000mm x 25m TZ72039 Pack of 1 Self adhesive clear film, easy to use for protection of maps, books, documents etc. against dirt and damage. Single pack 100cmx25m. 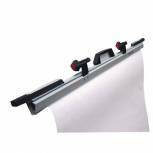 Self-Adhesive Book Covering Film 500mm x 5m TZ72032 Pack of 1 Self adhesive clear film, easy to use for protection of maps, books, documents etc. against dirt and damage. Single pack 50cmx5m. 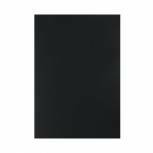 Goldline Mounting Board 1250 Micron A1 Black (Pack of 10) GMB-120 Pack of 10 Goldline Mount Board 1250 micron, 6 sheet mounting board, pH neutral. Ideal to be used for framing, presentation and model making. 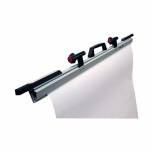 Sheet size A1 (594x841mm). Colour - Black. 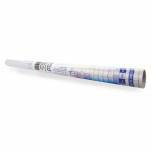 Transtext Self-Adhesive Clear A4 Film 210mmx297mm (Pack of 25) UG6904 Pack of 1 Transtext Self-Adhesive Clear Film. 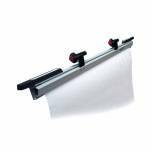 A unique self-adhesive matt film for transferring printed, photocopied, typed or written work quickly and clearly. May be copied or typed on. Size: A4 (297x210mm). Q-Connect Mobile Hanger Stand KF00780. Hangers not included. Pack of 1 Mobile hanger stand perfect for transportation. 4 Castors allow for easy transportation. Quality metal construction is long lasting. Capacity for up to 25 hangers. Accepts both A0 and A1 hangers (sold separately). Dimensions: 685x660x1365mm. 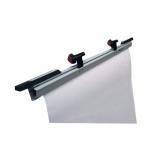 Q-Connect Paper Storage Hanger A0 Grey (Pack of 10) KF00782 Pack of 1 Q-Connect Hanger A0 Pack of 10 KF00782 Frame can accept both A1 and A0 hangers. Hangers come with carry handles and easy to use closure system. 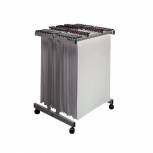 Unit holds 25 hangers comfortably. Dimensions 900 x 1200mm. 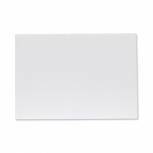 West Design 5mm Foam Board A1 White (Pack of 10) WF5001 Pack of 1 Bienfang CFC-free foam centred board with resilient polystyrene core which resists denting and crushing. The smooth surface is 5mm thick and can be easily cut. Colour - White. A1 - 594x841mm. Pack 10. 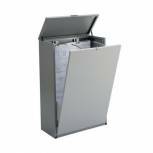 Vistaplan A0 Standard Plan File Cabinet Metal E09451 Pack of 1 High quality metal cabinet that will hold up to 800 A0 drawings. Features include a lockable lid for safe keeping and security. Dimensions W918x. D430xH1376mm. Two Tone Grey. 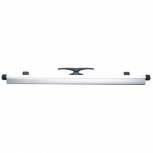 Vistaplan A1 Plan Hangers 650mm Grey (Pack of 2) HA1 Pack of 1 The Vistaplan hanger has been designed to meet the demand of today's drawing storage requirements and is suitable for use in the office as well as on site. The hanger opens completely flat for filing and retrieval and will hold up to 100 sheets. A1. 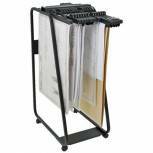 Vistaplan A0 Plan Hangers 841mm Grey (Pack of 2) HA0 Pack of 1 The Vistaplan hanger has been designed to meet the demand of today's drawing storage requirements and is suitable for use in the office as well as on site. The hanger opens completely flat for filing and retrieval and will hold up to 100 sheets. A0. 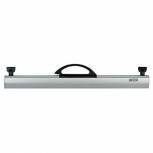 Vistaplan A1 Plan Hangers With Handles Grey (Pack of 2) 11061 Pack of 1 The Vistaplan hanger has been designed to meet the demand of today's drawing storage requirements with the added advantage of a built in handle. The hanger opens completely flat for filing and retrieval and will hold up to 100 sheets. A1. 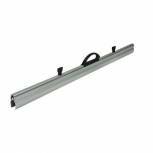 Vistaplan A0 Plan Hangers With Handles Grey (Pack of 2) 11071 Pack of 1 The Vistaplan hanger has been designed to meet the demand of today's drawing storage requirements with the added advantage of a built in handle. The hanger opens completely flat for filing and retrieval and will hold up to 100 sheets. A0. 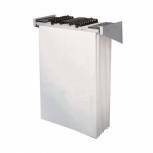 Vistaplan Hanger Wall Carrier A1 Grey WA1 Pack of 1 Vistaplan Wall carriers are wall mounted units, ideal for permanent filing, particularly where space is at a premium. Each unit has a number of fixing positions and holds up to ten hangers (not supplied). W730x. D285mm (A1). 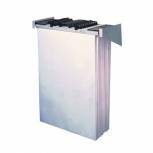 Vistaplan Wall Carrier A0 Grey WA0 Pack of 1 Vistaplan Wall carriers are wall mounted units, ideal for permanent filing, particularly where space is at a premium. Each unit has a number of fixing positions and holds up to ten hangers. W915x. D1260mm (A0). 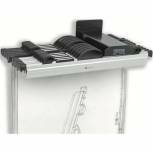 Vistaplan A1 Plan Hanger Trolley Carrier Grey TA1. Hangers not included. 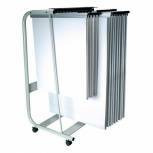 Pack of 1 This high capacity mobile stand maximises the number of drawings stored per square metre of floor space and will accommodate 20 hangers with an overall capacity of up to 2000 sheets. Size A1 (W725x. D640xH960mm).